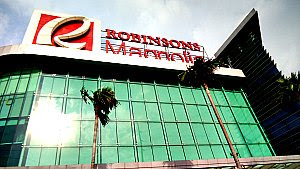 Robinsons Magnolia is located along Aurora Blvd between LRT-2 stations of Gilmore and Betty Go Belmonte. It is exactly situated at the corner of Dona M Hemady and Aurora Blvd. If you're going there by train, the nearest station is Gilmore Station. From the station, just walk eastward or toward the direction of Cubao. Please see map below this article. If your location is near to a station of any of the three lines of MRT/LRT, you can go to Robinsons Magnolia in a breeze. From any station of LRT-1 which runs the entire length of Taft Ave, Rizal Ave and EDSA's north portion, get off the train at Doroteo Jose Station. Use the footbridge connected to LRT-2 Recto Station and ride another train bound for Santolan. Alight at Gilmore Station and walk further ahead along Aurora Blvd until you see Robinsons Magnolia on your right. From any station of MRT-3 which runs along EDSA, alight at Araneta Cubao Station. Get inside Farmers Plaza and use the footbridge connected to Smart Araneta Coliseum and Gateway Mall. Follow directional signs to Line 2 train Station which is LRT-2 Araneta Cubao Station located along Aurora Blvd and connected to Gateway Mall. Take a second train bound for Recto Station and alight at Gilmore, third station from Araneta Center Cubao. From any station of Line 2, which runs from Recto, passes through Aurora Blvd and ends in Santolan Pasig, just get off the train at Gilmore Station. From Quiapo, Recto, Carriedo, Manila City Hall, SM City Manila, Intramuros, Divisoria, Recto, Morayta and other areas nearby. By Jeepney - First, if you're in other areas mentioned above such as Manila City Hall, SM City Manila and Intramuros, ride a jeepney with "Monumento" or "Dapitan" sign and alight at Recto Ave. In Recto, ride a jeepney with "Cubao" sign and after the jeepney passed through Gilmore Station and crossed Gilmore Ave, you get to see the Robinsons Magnolia to your right. 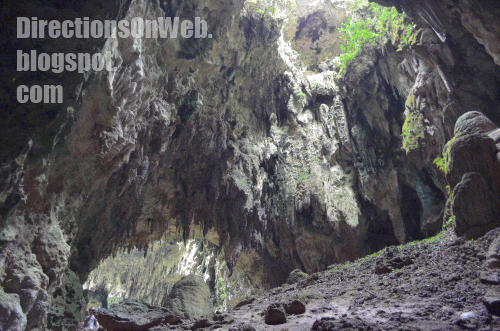 By train - Ride a train at LRT-2 Recto Station, and alight at Gilmore then walk to Robinsons Magnolia. From Baclaran, Pasay Rotunda, Harrison, Malibay and other areas. By Jeepney - Ride a jeepney with any of these signs: "Monumento", "Cubao" or "Dapitan." You can take this jeepney at any of these spots: Roxas Blvd service road near McDonald's, Taft Ave in Pasay Rotunda and Harrison St. Alight at Recto Station and follow direction in Route #1. By trains - You have two options. First, ride a LRT-1 train bound for Roosevelt and alight at Doroteo Jose. Ride another train at LRT-2 Recto Station bound for Santolan and alight at Gilmore. Second, ride a MRT-3 train at Taft Station and alight at Araneta Cubao Station. Take a LRT-2 train, alight at Gilmore and walk eastward along Aurora or toward Cubao. From Alabang, Muntinlupa, Sucat, Bicutan, FTI, Filinvest City, Festival Mall, Metropolis Starmall and other areas nearby. By Bus & Jeepney - Ride a bus with "Cubao Ibabaw" sign and alight at Cubao. Walk along EDSA's northbound lane and use the footbridge to get across Aurora Blvd. Ride a jeepney along Aurora Blvd with "Divisoria" or "Stop&Shop" sign. After the jeepney has passed through LRT-2 Betty Go Belmonte Station, watch for Robinsons Magnolia on your left. Get off the jeepney exactly opposite the mall and cross Aurora Blvd. By Train - Ride the same bus and alight at Magallanes loading area then walk toward MRT-3 Magallanes Station. Take a "North" bound train and alight at Araneta Cubao Station. Follow direction given at Route #2 (by train, second option). From Monumento, Bagong Barrio, Balintawak, Letre, Malabon, Navotas and other areas nearby. By Bus/Jeepney - Ride a bus with "Cubao Ibabaw" sign and alight before the bus crosses Aurora Blvd. Walk to the corner of EDSA and Aurora Blvd and ride a jeepney with either "Divisoria" or "Stop&Shop" sign. Alight at Robinsons Magnolia. By Train - Get off the bus at North Station of MRT-3. Ride a train bound for Taft Station. Alight at Araneta Cubao Station and follow direction given at Route #2 (by train, second option). From Farview, Novaliches, Philcoa, Ayala Technohub and other areas nearby. Just ride a bus southbound, e.g., "Baclaran", "Alabang", "Sucat", "Coastal", "NAIA/MIA", etc. The bus must have a secondary signage that reads "Cubao Ibabaw." Follow direction in Route #4 (by bus/jeepney). From Marikina, SSS Village, Cainta, SM City Marikina, Ateneo and other areas nearby. By Jeepney - Depending on your location, you can either take one ride or two rides to reach Robinsons Magnolia. In Marikina, you can take a jeepney bound for Divisoria or Stop&Shop and alight at Robinsons Magnolia. If there's no jeepney bound for Divisoria or Stop&Shop in your area, you can ride a jeep or UV Express to Cubao, then along Aurora Blvd, take a jeepney bound for Stop&Shop and alight at Robinsons Magnolia. By Train - Ride a train at LRT-2 Santolan Station or a nearer station to you. The train is headed to Recto Station. Alight at Gilmore and walk along Aurora Blvd eastward or toward Cubao until you see Robinsons Magnolia. The jeepney that you ride must have secondary sign that reads "Aurora Sta Mesa." Do not take jeepney with "E Rodriguez" secondary sign.